You are here: Home / Why is climate neutrality important? Why is climate neutrality important? Driven by the emission of greenhouse gases (GHGs) through anthropogenic (human) activities, the planet’s climate is changing. To limit the impact of a changing climate on the planet’s future, global GHG emissions need to be reduced as much as possible. This is a global challenge, to which we all need to contribute! 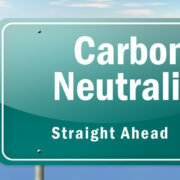 Carbon, or climate – neutrality implies that, through a combination of various strategies, the carbon footprint across a product’s full value chain is reduced to zero. How can I reduce my carbon footprint to zero? Through your participation in the Confronting Climate Change (CCC) Initiative, your wine or fruit farm may have already calculated its carbon footprint. Across your product’s value chain, you probably have a good idea of the key drivers of your carbon footprint, whether it is caused by agrochemicals, fuel consumption, energy use, processing, packaging, or freight. Through the implementation of new technology and operational strategies, the first step is to reduce your carbon footprint as far as possible. Together with various environmental benefits, this can have many financial advantages. Inevitably, there will be elements of your product’s carbon footprint that are incredibly difficult and costly to eliminate. From here, your best option to reduce your carbon footprint to zero is to offset unavoidable emissions through the purchase of carbon credits. Confronting Climate Change (CCC ) has partnered with Climate Neutral Group to facilitate the purchase of certified carbon credits. How can your wine estate or fruit farm make its value chain climate neutral? What do I get? Climate Neutral Group, an international carbon management firm with an office in Cape Town, has worked with hundreds of organisations to measure, reduce and offset their carbon emissions. Clients in South Africa include Sanlam, Canon, Webber Wentzel, the Two Oceans Aquarium, Sun International and many more. Climate Neutral Group has also helped to set up a number of carbon offsetting projects in South Africa, Southern Africa, and elsewhere in the world. The carbon credits associated with these projects are certified through the Verified Carbon Standard (VCS) or the Gold Standard. In addition to generating carbon credits, these projects are community-orientated, creating value for underprivileged communities. Purchasing carbon credits presents an opportunity to be part of the solution, both environmentally and socially! Provided that your product’s carbon footprint has been properly calculated, reduced where possible, and neutralised through the purchase of certified carbon credits, your climate neutral journey provides you with an opportunity to tell a great and inspiring story. More and more companies, particularly in European export markets, are concerned with the environmental impacts associated with a product’s entire value chain. We believe that your achievement of climate neutrality is a valuable story that should be heard. If your wine estate/fruit farm is working hard to reduce its impact on the climate and wants to make its wines/fruit climate neutral, then the “Climate Neutral Guaranteed” standard by Climate Neutral Group is something to consider. Gaining momentum across Europe’s food and beverages sector, this logo recognises that the contributions of your efforts towards climate neutrality have been meaningful, environmentally and socially. The logo furthermore ensures that the steps you have undertaken towards climate neutral operations have been tested against strict international criteria. The Climate Neutral Guaranteed standard finally helps you – efficiently and clearly – communicate your climate leadership role to consumers, suppliers, and other stakeholders. This is critical in fostering a new generation of socially, environmentally, and economically sustainable businesses. What is the required investment? Depending on the size of your product’s carbon footprint and the choice of carbon credits (the price of carbon credits varies across offsetting projects), your carbon footprint can be offset from as little as R0.10 per 750 mL bottle of wine or 3kg of fruit. Should you wish to display the climate neutral logo on your wine bottles, additional auditing costs apply. If you would like to know more, please feel free to contact Anél Blignaut (Blue North Sustainability): anel@bluenorth.co.za or Franz Rentel (CNG): info@climateneutralgroup.co.za. https://bluenorth.co.za/wp-content/uploads/2018/05/Carbon-neutral2_S-e1525863805968.jpg 406 826 Anél Blignaut https://bluenorth.co.za/wp-content/uploads/2015/12/Blue-North-Logo-Header-300x125.png Anél Blignaut2018-05-17 14:00:382018-05-24 12:45:39Why is climate neutrality important?